One of the major arguments secularists and atheists love to throw around is the perceived mutual exclusiveness between science and religion. This canard is constantly exploited by the mainstream media as a way of pushing their anti religious agenda. The fact is religion and science mutually contribute to, and coexist with each other quite nicely. So in the spirit of this mutually beneficial relationship between these two human endeavors here are my 5 Top Religion Related Science News for 2014. In August the Vatican honored professor Silviu Itescu for pioneering a therapy for congestive heart failure based on Adult Stem Cells. Prof Itescu, who is NOT Catholic, is the chief executive of Mesoblast, an Australia-based regenerative medicine company. Mesoblast is pioneering a therapy that requires a single injection of 150 million adult stem cells into the heart – and no conventional surgery. In September, researchers from Baylor university published the study "Prayer, Attachment to God, and Symptoms of Anxiety-Related Disorders among U.S. Adults." Their research found that people who pray to a loving and protective God are less likely to experience anxiety-related disorders — worry, fear, self-consciousness, social anxiety and obsessive compulsive behavior — compared to people who pray but don’t really expect to receive any comfort or protection from God. Apparently, the study seems to point to the fact that the more faith you have, the better mental health you experience. In June, the American Sociological Review Journal published a paper stating that "The prayer practices observed appear to play a crucial role in binding participants together across significant racial and socioeconomic differences" when people from different backgrounds attend prayer services together. No 2: Vatican scientists co-host conference in Arizona seeking alien life in universe. In March, the University of Arizona and the Vatican Observatory co-hosted a gathering of about 200 scientists interested in planetary biology. The topic of this conference was:"The Search for Life Beyond the Solar System: Exoplanets, Biosignature and Instruments"
No 1: Brother Guy Consolmagno, S.J., wins the American Astronomical Society's Carl Sagan Medal. The Carl Sagan medal is awarded for outstanding communication by an active planetary scientist to the general public. In the announcement, the AAS states: "As a Jesuit Brother, Guy has become the voice of the juxtaposition of planetary science and astronomy with Christian belief, a rational spokesperson who can convey exceptionally well how religion and science can co-exist for believers." As you can see it was a good year for the intersession between religion and science, hopefully 2015 will bring more of this and less of the nonsense we constantly get feed by the enemies of religion. NOTE: Following the suggestion from one of my commenters I decided to add a page to the web site in which I will continue reporting these sort of news throughout the year. You can link to it here. Amazingly I had not heard a whisper of ANY of these five stories before. It just goes to show how the mainstream anti-Christian /anti-Catholic media suppress any news story which does not fit the fable they want us to believe that "religion and especially Catholicism = backwardness, anti-science etc." Indeed! I think I will make it a regular feature in the blog to comment on these types of stories. I already have one for this year! I love your idea for this post! I am a Catholic doctoral student in psychology, and I have spent a lot of the last 6 years finding out how the science of psychology and religion mesh well, and do not conflict. Another doc student and I started a blog at www.psychedcatholic.com to talk about psychology to Catholics. 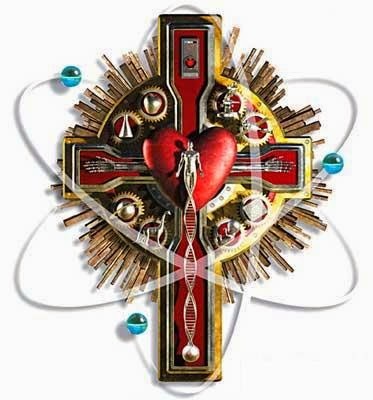 Not every post cites scientific findings, but many do, and whatever we write is informed by both psychological science and Catholic faith. Thought it might be of interest. God bless you and your work! Deacon Harbey, you might also considers adding links to the Top 5 stories if available, not just in future but perhaps editing this post to include them. It would be much more difficult for those doubters who are referred to this page to ignore it if all they had to do was click to get corroborating evidence.